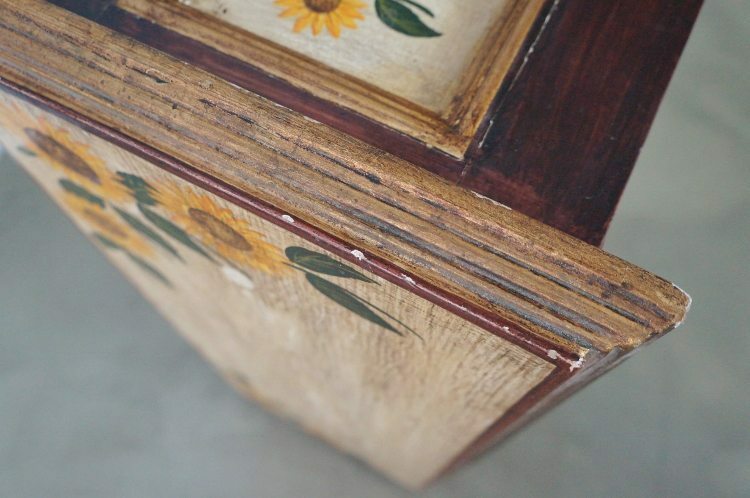 This article, Wooden Side Table Makeover is sponsored by Mohawk. All opinions are 100% my own. One of my best friends moved in to a new place and wanted to change her décor. 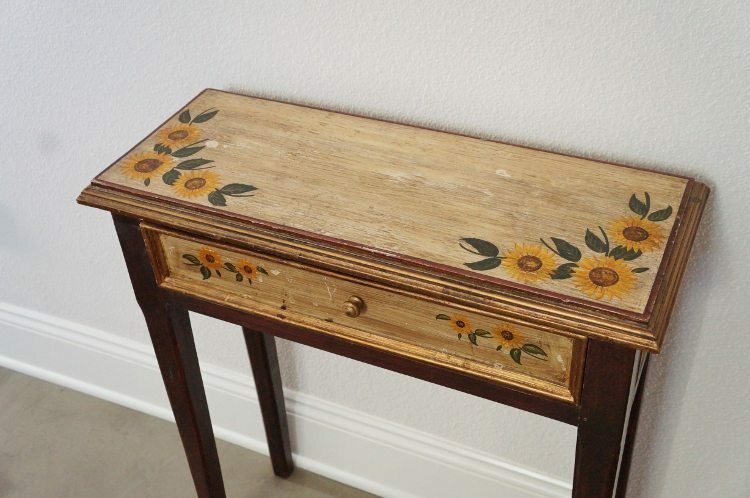 I spotted this old wooden side table she had and asked her if she needed me to give it a makeover to match her new design. 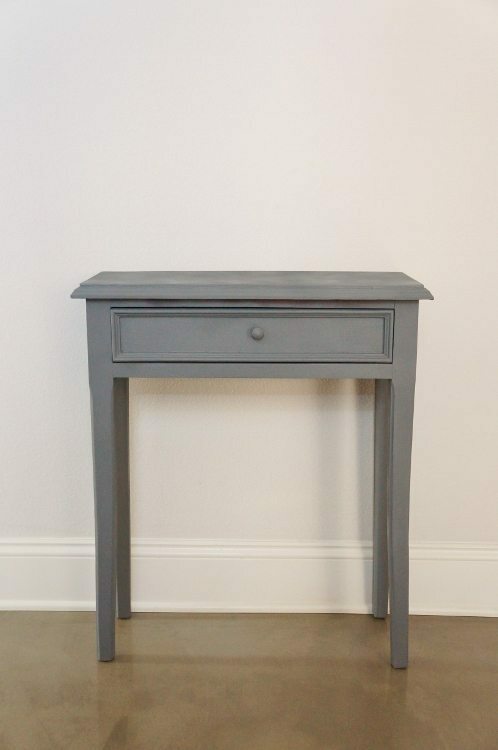 With a little love and a few easy steps, this little wooden side table makeover was a breeze. Here is the table before. It had quit a few gauges and scratches. 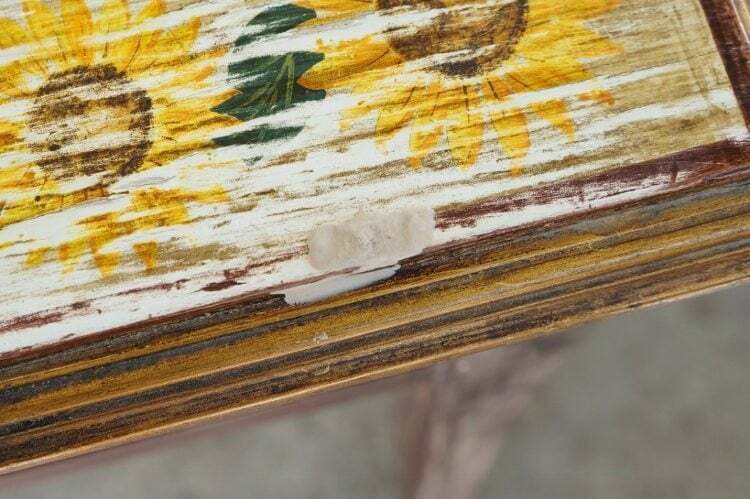 The first thing I did was removed the drawer and lightly sanded down the whole piece. After I cleaned off all dust and debris, I applied Mohawk epoxy putty in all the gauges, cracks, and nicks on the top and legs. 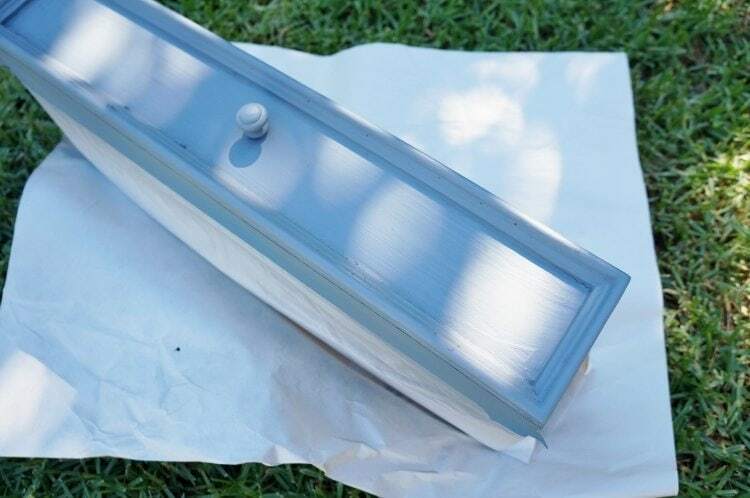 The epoxy stick comes in many colors to match your wood, however since I planned on painting over this, I used beige. 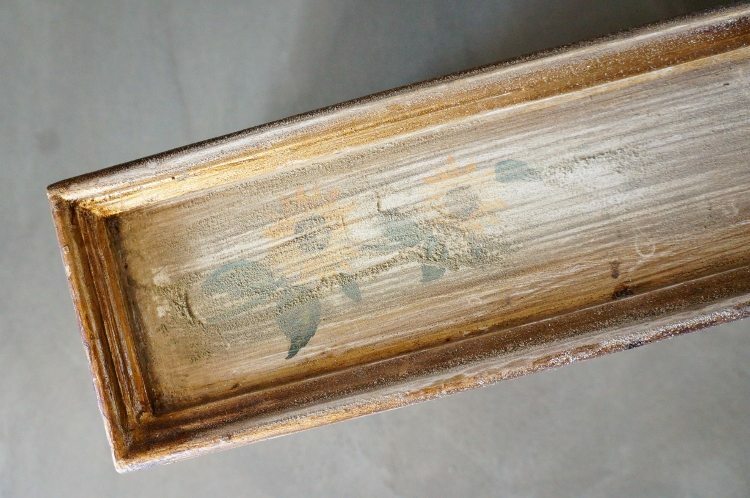 When applying the putty, knead it with your fingers first and apply a generous amount to the surface that needs repaired. Next I lightly sanded over the puttied areas to create a smooth surface with 120 grit sandpaper. 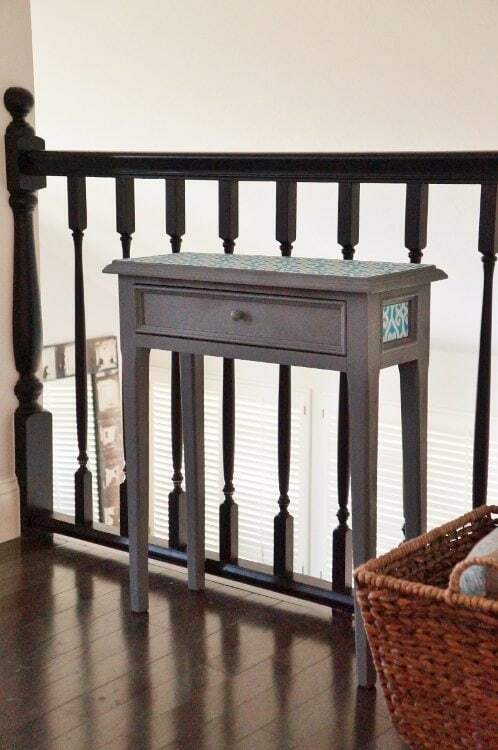 Once I cleaned off the debris and dust, I spray painted the drawer and base with Krylon’s chalkboard slate gray. I did several light coats. The piece looked nice gray, however after looking at it, I wanted to add a little color and pattern to match my friend’s décor. I measured and cut fabric to fit the top of the table as well as the sides. 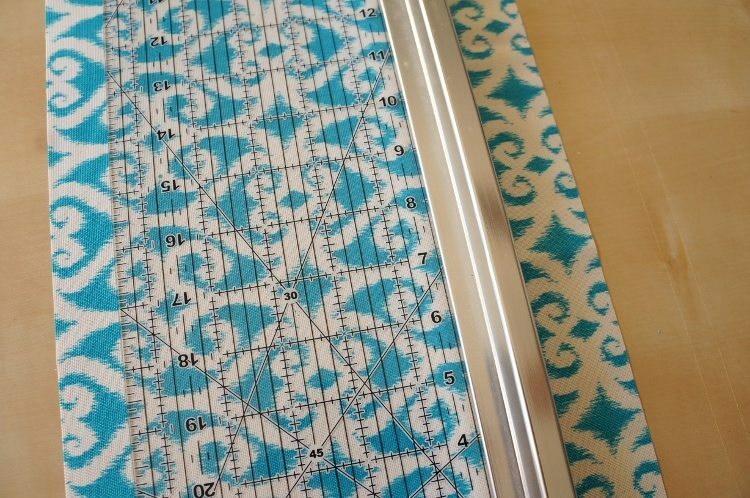 A rotary cutter to cut the fabric is a ideal for this piece. I used spray adhesive to attach the fabric. 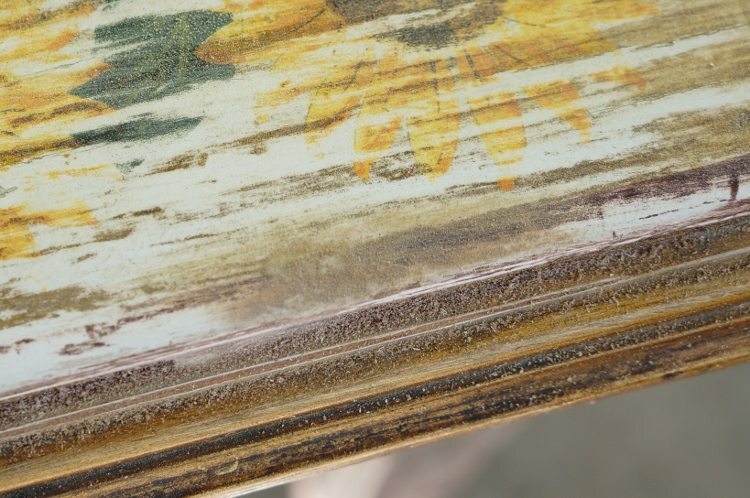 Check out my guide for why you should buy furniture secondhand. It also includes a list of trash to treasure project ideas. Thank you to Mohawk for sponsoring this post. Be sure to check out all their products for your wood, fabric, and leather DIY projects including touch ups, polish, cleaner, and more. 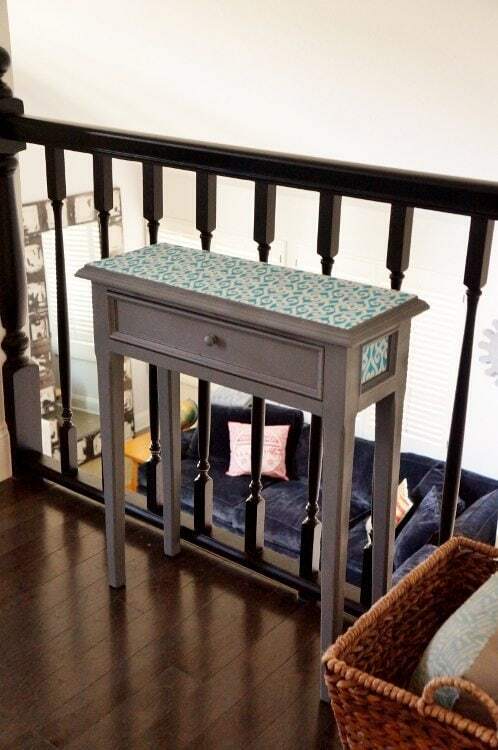 Did you put any finish spray over the fabric? I did not. This piece is more decorative so I don’t think it’ll get a lot of “traffic”. So cute! 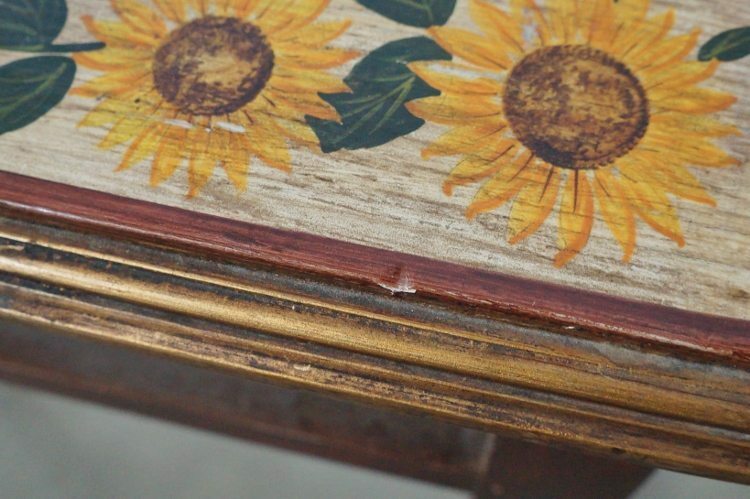 I always think I need to buy new pieces but I really should think about giving my pieces a little makeover!! Love how this turned out! Thanks, Sharon! It was a lot of fun. This is AMAZING! Love the pop of color and pattern! Thank you Linda! My best friend wanted gray and teal. I thought it worked out nicely! Love this simple refresh. Using fabric on top was a great idea. Thank you, Kat! 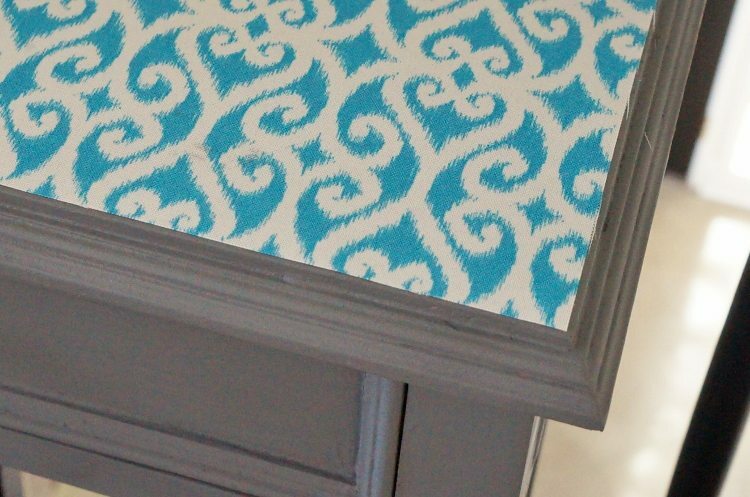 I’ve made a few fabric lined projects before and it is surprisingly durable! Awesome makeover! That little putty stick looks so handy! Thank you, Jenna! It is much easier because it’s compact. You don’t get your fingernails dirty either because it’s a stick versus a tub. 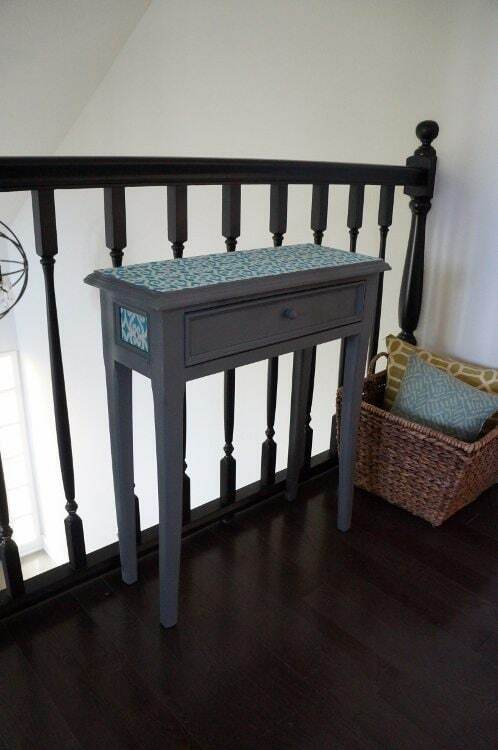 I love what you did with this little side table! The putty stick looks so much easier to work with than my tub of putty. I can’t wait to give it a try. Thank you, Sarah for stopping by! Yes! The stick is WAY better than a tub, and easier to store. Awesome makeover!Love the fresh new look. 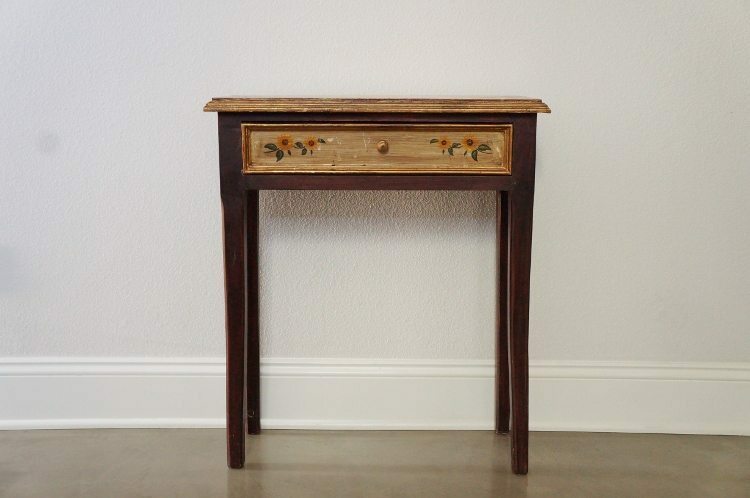 I love how your table turned out! The colors are fab! 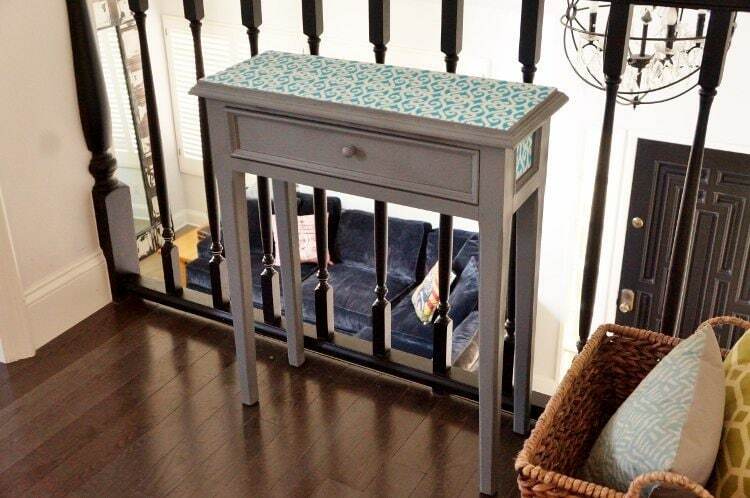 Thanks for sharing your crafty inspiration on this week’s Monday Funday Party! 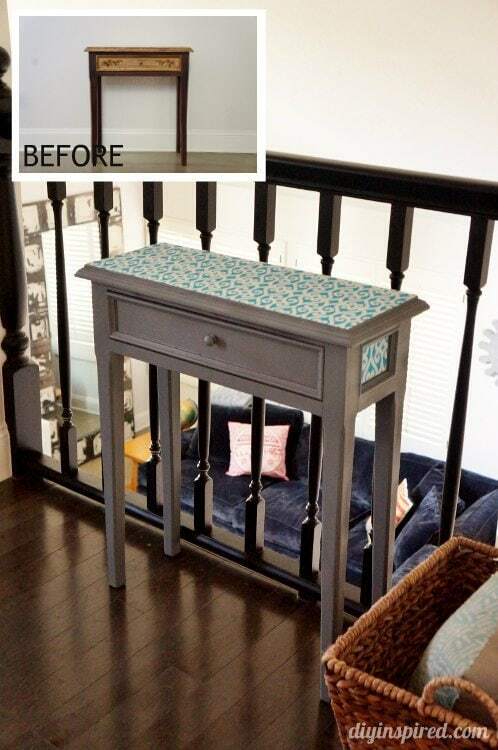 Very nice makeover, and the table looks like it goes with her decor perfectly. I love the pop of color the fabric gives. Love the way this came out. I have a few pieces to refurbish and this gives me inspiration. Thank you so much, Connie! I’m ready for some new ones. Thanks for stopping by! What a great makeover! 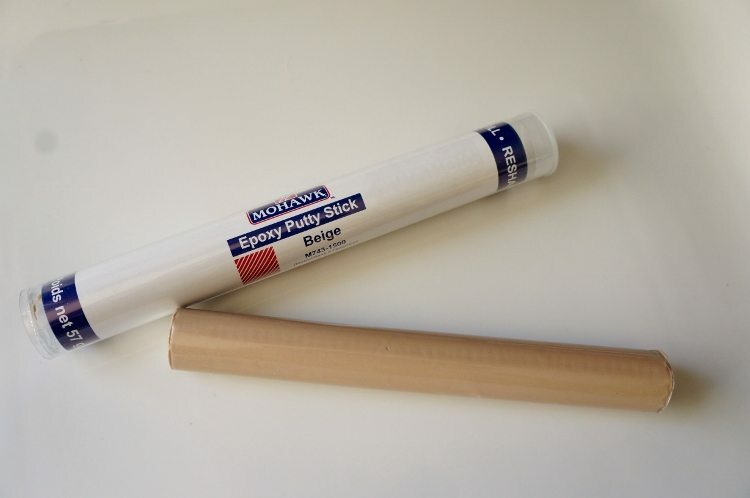 I’ve never heard of Epoxy putty stick, so learned something new. Hope you can come and share on Merry Monday again. Thank you, Erlene! I will! !